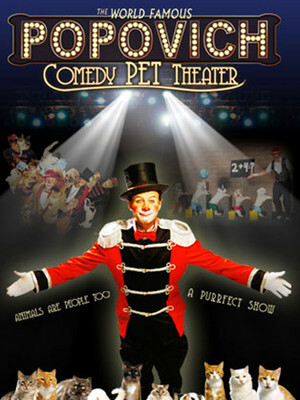 Why See Gregory Popovich Comedy Pet Theater? This hugely popular family-oriented blend of the unique comedy and juggling skills of Gregory Popovich, shows off the extraordinary talents of his performing pets. Each of the show's 15 cats and 10 dogs were rescued from animal shelters and received love and care, with patient training provided by Popovich and his family! 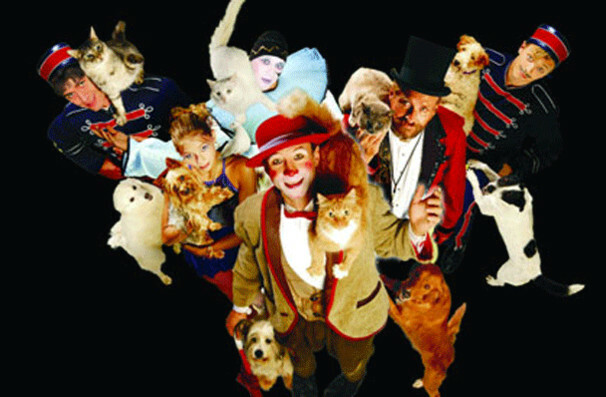 This world-renowned animal circus features cats, dogs, and other small animals (including a parrot), performing a variety of stunts under the direction of Gregory Popovich, a respected circus performer from Russia. The animals are mostly rescued from shelters, and are given a new lease of life as the stars of their very own Vegas show! 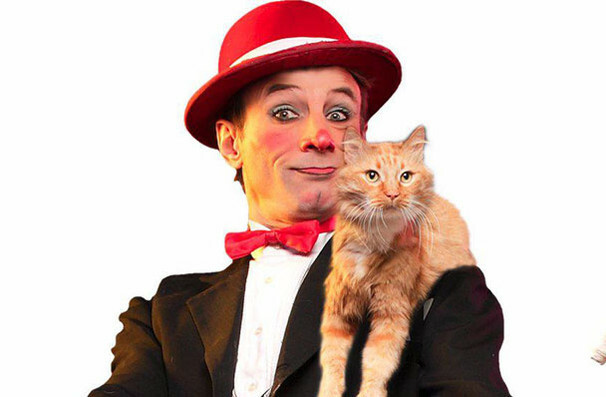 The Pet Theater sees a combination of both human and animal actors who perform comedy routines through skits using acrobatics, juggling and clowns! 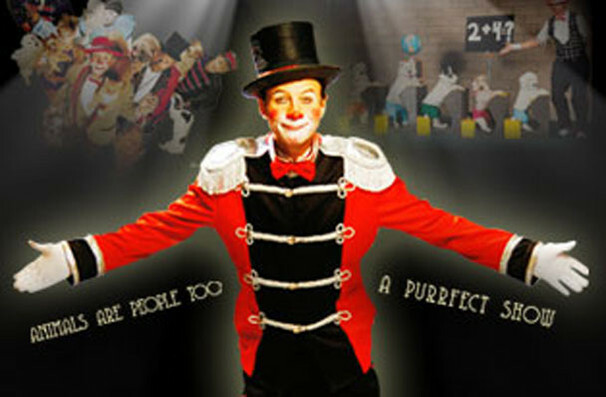 Cruelty-free and thoroughly uplifting, this show has entertained millions, and is a great treat for animal lovers of all ages! Seen Gregory Popovich Comedy Pet Theater? Loved it? Hated it? Sound good to you? Share this page on social media and let your friends know about Gregory Popovich Comedy Pet Theater at V Theater. Please note: The term V Theater and/or Gregory Popovich Comedy Pet Theater as well as all associated graphics, logos, and/or other trademarks, tradenames or copyrights are the property of the V Theater and/or Gregory Popovich Comedy Pet Theater and are used herein for factual descriptive purposes only. We are in no way associated with or authorized by the V Theater and/or Gregory Popovich Comedy Pet Theater and neither that entity nor any of its affiliates have licensed or endorsed us to sell tickets, goods and or services in conjunction with their events.